“Agriculture is our greatest industry, transportation our second greatest. These two industries are dependent upon one another, and the national well-being is dependent on both”. This statement simply puts in perspective the remarkable impact that a reliable and efficient transport system has on agricultural marketing, which is, quite simply, taking agricultural products from the point of production to the point of demand. What followed in the United States during this time was an era of development of rail transportation, along with some other developments like an invention of labor-saving farm implements and liberality of the Government in the disposition of lands. All this culminated in the most remarkable period of agricultural expansion and industrial urban growth the world ever saw. In essence, agricultural marketing is the simple procedure of buying and selling of farm produce, and transportation is that key element that enables the product to reach the consumer. In short, transport enables agriculture and emboldens the farmer to invest more and increase production. And without this transport system, large quantities of painstakingly farmed produce would be laid to waste. On the contrary, if an efficient transport system exists, and the agricultural produce is handled with care, the farmer can get the best possible returns. Further, think of the condition of the farmer. Many farmers are cash-strapped and would like to dispose of the produce at the earliest. This means that even if the harvest is plenteous, the farmer can still be left in the lurch if the product cannot be reached beyond the boundaries of his town. His produce also needs to reach the consumer at a reasonable price and within a reasonable time. Agricultural produce is different from industrial goods, and have certain peculiar characteristics, because of which the quality of transport becomes as important as the availability of transport. Like – agricultural products are bulky and perishable. Most of them are consumable goods. The packaging and transport need to ensure that the products are not bruised during transit. After a crop is harvested, it goes through the process of harvesting, threshing, winnowing and bagging, processing and storage. And while there are some amount of losses at all these stages, an efficient transport and marketing system can still ensure that unit costs remain low and retain the agriculture value chain at a robust level. Keeping transport costs low helps the farmers earn a margin, as well as make it affordable for the consumer. On the contrary, if transport costs are high, then not only domestic marketing, but the potential for agricultural exports will also decrease as compared to countries with more efficient transport. After all, agriculture is best served by reliable and high urban and international demand. An interesting aspect of having a good market is that it can change the agricultural pattern beyond the subsistence needs of the producer to the needs of the consumer elsewhere. This is what can give agriculture the capacity to commercialize. 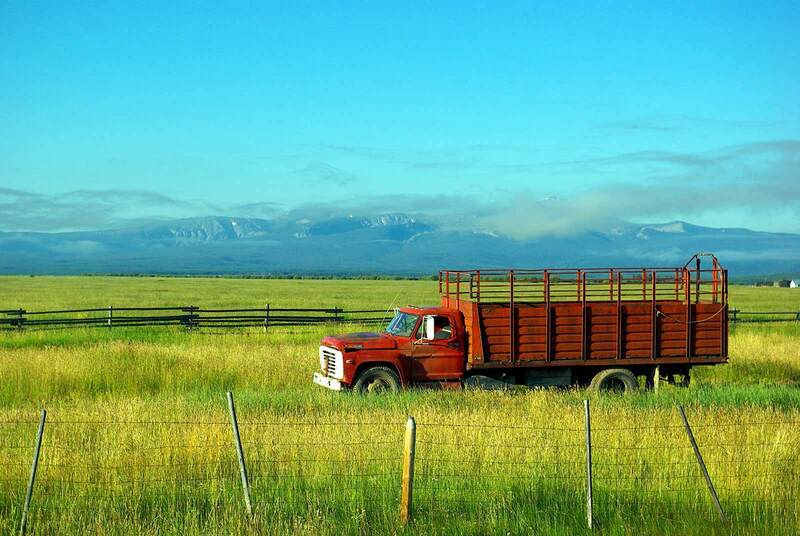 Road transport has a vital role to play in the transport and marketing of agricultural goods from farm to market as well as to various urban communities. It can be called the most vital mode of transport, as it provides last mile connectivity to the consumer. Road transport forms the most common and complex network as well. It can transport wide-ranging products, is physically convenient and is highly flexible and usually the most operationally suitable and readily available means for the movement of goods. If the transport services are infrequent, of poor quality, or expensive, it becomes a disadvantage for the farmer, leading to low farm gate prices. Further, if there are seasonally blocked roads, then it leads to losses of certain products like milk, fresh vegetables, and tea, which deteriorate quickly. This will also result in lower prices to the farmer. Looking at the scenario around the world, in the United States, agriculture is increasingly dependent on transportation to deliver agricultural and food products to urban centers and coastal facilities, most of which are far from the food producing regions. In India too, there are initiatives being undertaken to improve transport infrastructure for agricultural produce. For example, the Indian Railways has connected the North-east region to the West Coast by running a Parcel Cargo Express Train (PCET) for transportation of agricultural produce of the Northeast, such as pineapple, turmeric, ginger, cane, tea, and other goods from New Guwahati Yard (NGC) in Guwahati to Kalyan in Maharashtra. This leased PCET is cost-effective as the logistics costs are cheaper as compared to roadways. According to the Indian Railways, for small-scale local producers of the Northeast region, such a train is a boon, as their products can easily access the markets of other parts of the country. In many cases, an effective waterways system to comes to the aid of agriculture marketing, enhancing the local economy, as in the United States. Forestry and fishery products and critical farm inputs such as fertilizer, feed, and fuel move on the waterway system as well. This is how the products reach export zones and make it possible for the country to earn income from exports, which amount to 20 percent of farm income. An important development in the food transport sector is the evolution of reefer vehicles or vehicles with refrigeration facility. The storage capacity of these vehicles varies from 3 tons to 31 tons. Such a transport system brings down the enormous wastage of fruits and vegetables and allied products, poultry, fish, meat, milk, and dairy products. In India, less than one percent of the 105 million tons of perishable goods are transported via the 30,000 reefer vehicles that ply its roads. And the loss due to this amounts to Rs. 1 lakh crore. In the U.S., 85% of fruits and vegetables are transported through a cold chain, and in Thailand, it is 40%. You can see that in comparison, it is negligible in India. Such reefer vehicles or refrigerated transport is now a sunrise industry in the cold chain domain, open to the growth of a scale that you can certainly call ‘exponential’.